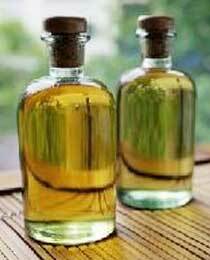 We provide Sandalwood Essential Oil extracted from Santalum album of East Indian origin. The exotic smell of our Sandalwood Essential Oil that will unite your senses is available with us in its pure form. It provides a calming effect during meditation. In the country, we are enlisted among the prominent Suppliers of Pure Sandalwood Oil. Our Organic Sandalwood Oil comprises of therapeutic properties such as antiseptic, astringent, antispasmodic, diuretic, carminative, emollient, sedative, and many more.